On 28th September, CSC hosted a Wine Tasting Session in conjunction with our Members Night. 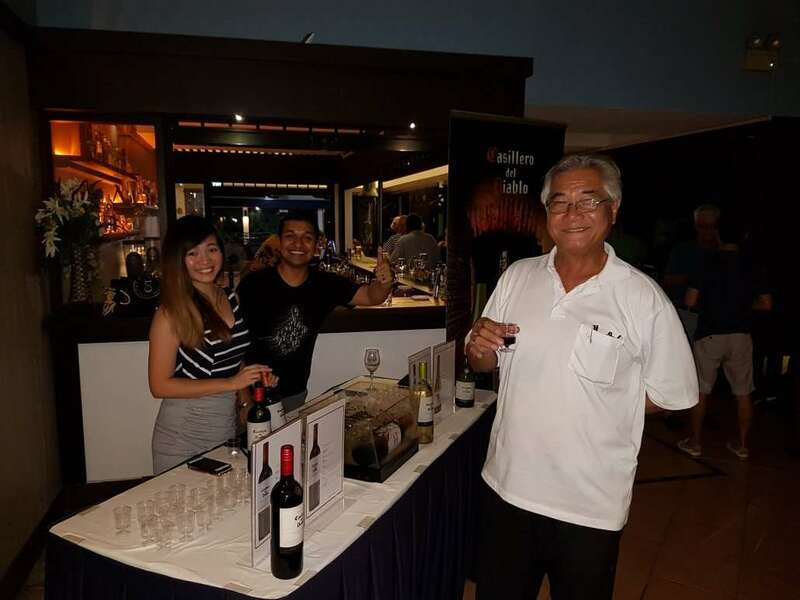 Brought to you by the friendly people at VCT Group of Wineries Asia Pte Ltd – our Wine sponsors for the past 2 Ambassadors’ Cup Events! 4 types of Wines were showcased: Cabernet Sauvignon, Carmenere, Sauvignon Blanc and Chardonnay from Casillero del diablo . It was the perfect complement to our Members Night – Flavourful Wine + Live Music + Great Company = Awesome Night!